there are a lot of steps to opening a restaurant. Whether you are going to open a brand new restaurant, buy a restaurant or start a food truck, here are step-by-step guides that outline every step you need to take to become your own boss. Find everything you need to write a restaurant business plan, purchase commercial equipment and market your new restaurant. The first step in opening a new restaurant is doing your homework. Along with finding the perfect restaurant location, you must also decide on a name, write a menu and most importantly, find financing. We can’t stress this one enough. It is all about location when it comes to a restaurant. 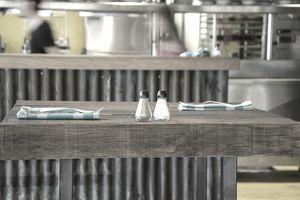 Look for a space than accommodate your restaurant concept. Also look for visibility, foot traffic and/or parking issues. The most fun part of opening a new restaurant! Choose a name that reflects your restaurant theme, location or concept. Easy pronunciation and spelling are a plus. Need some inspiration? Check out these inspiring restaurant names from some of the most notable restaurant owners in the country. Next to naming a new restaurant, creating a menu is the most fun, I think. Here you can show off your culinary chops, so to speak. When writing a restaurant menu, be sure you understand food cost so that your prices will produce a profit. Creating a business plan for a new restaurant is the first step toward financing (see below for that how-to guide). Think of your business plan like a roadmap to success. It should outline your concept, your projected sales, and what you plan to do if you run into trouble. Financing is the biggest roadblock between potential owners and their restaurant. Banks aren’t usually jumping up and down to dole out money for new restaurants. But a well thought out plan can convince any banker that your restaurant idea is sure to be a success. Here is a step-by-step guide to preparing a business plan, getting ready for a bank interview and seeking out investors. A food truck is like a restaurant on wheels. It has several distinct advantages over a traditional eat-in restaurant. A food truck can go to where the customers are. It has pretty low overhead, compared to a restaurant, and requires far less staff. However, a food truck is still a business that requires a lot of work and attention- especially in the first couple of years. Food truck owners put in long days and have similar problems as restaurant owners, such as slow seasons, bad weather, and a sluggish economy.